Do you believe in destiny, the concept that things happen for a reason or that there is only one way things will or can happen? The fated lovers? The inevitable tragedy? These are all common themes featured in cinema. As people, we are captivated and terrified by the concept that we are not able to control the events around us. We want to be participants in the world rather than spectators. 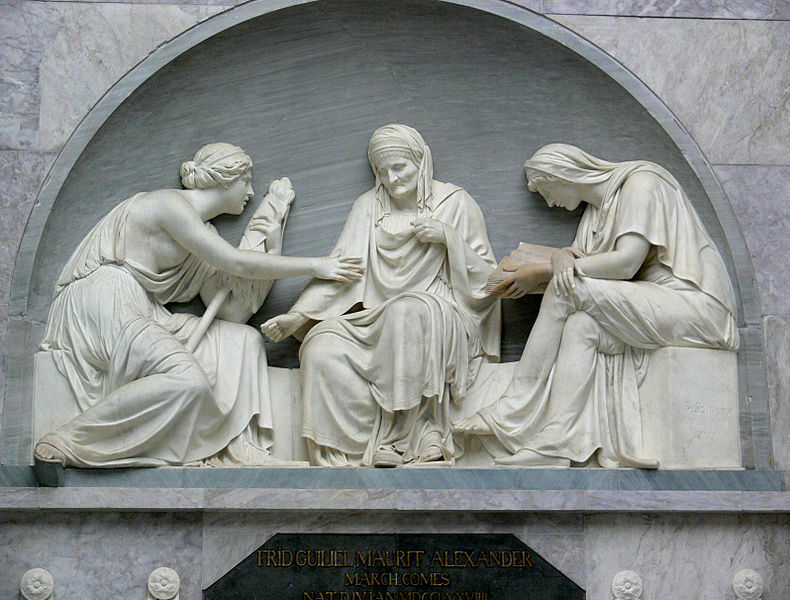 Depicted are the moirai, or fates of greek mythology, at the grave of Alexander von der Mark by Johann Gottfried Schadow. Surprisingly enough, evolutionary biology is obsessed with this theme as well. If we could turn back the clock, would humans evolve again or are the choices and random events in the day-to-day life of individuals powerful enough to alter the outcome and the evolution of humans would never happen the same way again? As individuals, we tend to focus on individuals but remember: populations evolve, not individuals. The process of natural selection relies on the success of inherited traits to change a population. If we are describing a scenario where you are born with certain traits that let you succeed or fail, suddenly it sounds like we are once again talking destiny. Can scientists ever hope to answer the question: is there such a thing as destiny? I will argue, yes. Microbiologists and evolutionary biologists have started examining this question with the cunning use of microbes. Before I dive into the details, let’s talk about some basics about microbiology. How small is ‘micro’ anyways? As a scientist specializing in the biology of small living organisms such as bacteria or viruses, it can be difficult to understand just how small we are talking. Luckily, other microbiologists like myself have developed some useful visualizations already. For example, see the fine work done by the Genetic Science Learning Center, University of Utah, http://learn.genetics.utah.edu with their cell size and scale illustration. Why should we study microbes? Microbes are everywhere: in the air, in the dirt outside, on your food, in your bathroom, on your phone/computer, and all over you. In fact, microbial cells outnumber your own human cells in your body 10:1. ‘Ew, there are so many microbes all over me? !’ Don’t panic! What’s really going to bake your noodle later on is, are you microbe or human? I guess there is more truth to the saying ‘you are what you eat’ than you originally thought. Although we tend to focus on the bad microbes that cause disease, most are good. Microbes help us digest our food, interact with our immune systems and keep them healthy, protect us from infection by blocking bad microbes from gaining access to our cells, and have even contributed some genes to our genetic code. In fact, we keep discovering new ways microbes interact with us on a daily basis and you can read a variety of good articles on these topics (here is one). But wait, what does all this talk of microbes have to do with destiny? The important component here is not why microbes are good but what the nature of microbes can enable us to do. As I have said before, a challenge in evolutionary biology is time. Thinking back to whether or not humans would evolve the same way again, we cannot turn back the clock to observe the process unfold again. However, we can watch the process unfold with microbes. Why is time no longer a hurdle with microbes? Evolution happens over many hundreds, if not thousands of generations. Thinking about your lifespan as one generation, this process takes an unfathomable amount of time. Microbes live life in the fast lane; one microbial generation is much shorter than a humans. Growing some microbes in the lab, we are able to achieve ten generations in a single day that would be equal to roughly 500 years in human generations. 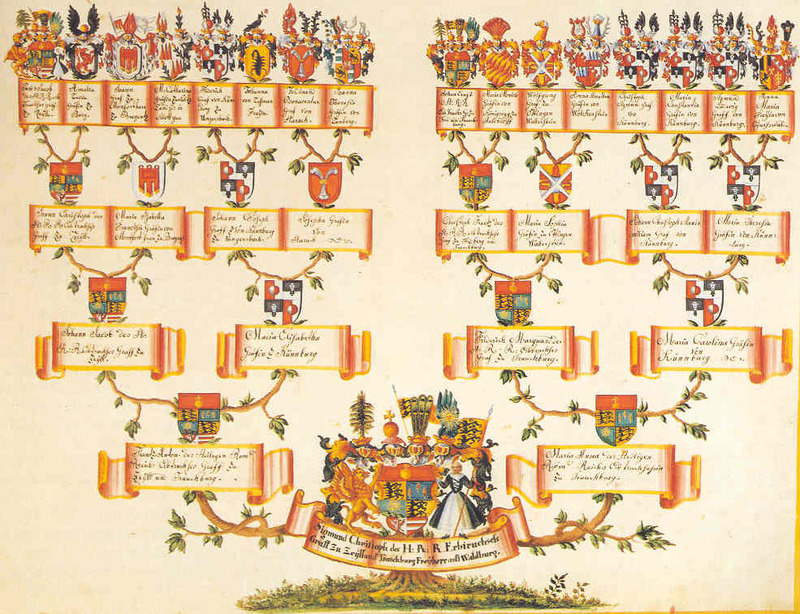 Do you know what your family looked like 500 years ago? With this kind of speed and ease of growing microbes in the lab, not only are we able to turn back the clock but we are able to turn back the clock many, many times and observe how often certain events occur. Now, we are able to answer the question of fate from mathematical and statistical approach: what is the probability that certain evolutionary events will happen? So, is there such a thing as destiny? Maybe. Using a single microbial strain under certain conditions, we can observe that the same traits will evolve again and again with some predictability. However, it is more complicated than that. Although the same traits repeatedly evolve, how these traits evolve is not always consistent. For example, Vaughn Cooper’s lab using a microbe called Burkholderia cenocepacia has repeatedly observed the evolution of three distinct ecological strategies using their lab model: a jack-of-all-trades type and two specialist types. Although the process appears clear-cut from the surface, thorough examination of the genetic code has revealed that there are many ways to evolve the same strategies. That is, specific traits are consistently selected for but the individuals that ‘win’ or rise to these challenges varies. Rather than say we are all destined for a specific fate, I think it is more appropriate to say we are destined to move toward a specific goal. How we get there, however, is entirely up to us. Complexity is the elephant in the room. Although scientists are certainly making headway regarding the repeatability of evolutionary events, we must acknowledge there is much more to be done. Most of the experiments I have described happen under very controlled conditions with only a single species. What if we increase the complexity? Remember that your body is COVERED in microbes. And not just one kind microbe, but at least hundreds of different types. One study compared how four microbes evolved together and alone. In summary, they found that the microbes evolved differently in the presence of one another. Would humans evolve again if we could turn back the clock? I would say yes if we could control all the other variables such as competitors and other environmental factors. Maybe that is too big of an 'if'. If evolution is predictably driving a population towards a specific goal, we need to determine how easily this goal changes with complexity to accurately answer the question: is there such a thing as destiny?